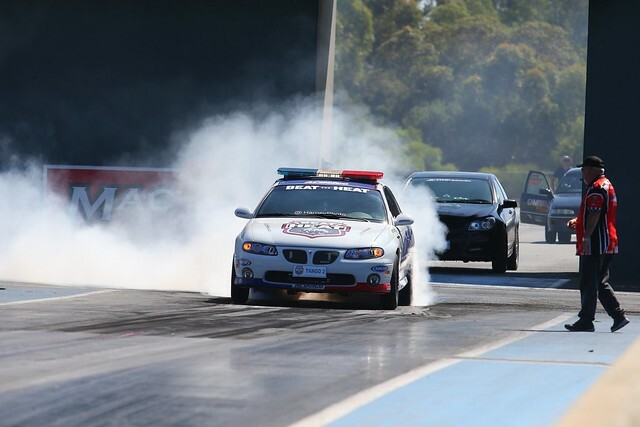 The 2018/2019 Summit Racing Equipment Sportsman Series has drawn to a spectacular close with the Perth Motorplex’s ANDRA Grand Finals event this weekend. Season champions and event winners were celebrated following two big days of action at the West Australian venue. Claiming the ultimate reward for their efforts over the season tonight were Jake Hamilton-Moderate (Modified Bike), Paul Jennings (Super Street), Martin Mirco (Super Sedan), Adam Mundy (Modified), Paul Stephen (Supercharged Outlaws), Jason Arbery (Top Sportsman), Rob Cassar (Competition Bike), Alex Panagiotidis (Super Stock) and Craig Geddes (Competition). These racers joined previously announced championship winners, Adrian McGrotty (Super Gas) and Jake Berias (Summit Racing Equipment Junior Dragster), in being celebrated as Australian Champions this evening. Proudly being awarded as runners-up in the title chase were Bryan Finn (Modified Bike), Nikolas Karanovic (Super Street), Peter Tzokas (Super Sedan), Jessica Proud (Modified), Mark Hunt (Supercharged Outlaws), Vlado Turic (Top Sportsman), Dave Willis (Competition Bike), Rob Dekert (Super Stock) and David Roberts (Competition), while Colin Griffin (Super Gas) and Zara Board (Summit Racing Equipment Junior Dragster) were also recognised at the presentations. A number of racers had their hands quite full in Perth, with Mundy, Arbery, Mirco and Stephen claiming the ANDRA Grand Final event victory as well as the championship in their respective classes while Panagiotidis took out the runner-up honours for his bracket. Joining them in the winner’s circle were fellow event victors Chris Moore (Modified Bike), Kirstie Wroe (Super Street), Brett Ghedina (Competition Bike), Todd Stacy (Super Stock) and Kyle Putland (Competition) while Budgie ‘Bruce’ Jones (Modified Bike), Ian Taylor (Super Street), Ross Smith (Competition Bike) and Sam Gullotto ( Competition) took out runner-up spots. “Someone probably needs to pinch me right now I think. This is just unbelievable. How could you possibly think that this was going to happen again!” Arbery exclaimed. “I am absolutely wrapped for myself and the team, everybody dives in and gives it a red hot crack and to get the rewards like this is really, really cool. The John Storm Memorial Trophy holds particular importance for Arbery, who found out this morning ahead of the Grand Final racing that he was unbeatable for the highly respected accolade which recognises the racer who accumulates the highest points across all of the Summit Racing Equipment Sportsman Series brackets. It was commissioned in memory of Mr John Storm (the first National Director of ANDRA) and awarded for the first time in 1975 – one year before Arbery was born. “This right here, this is history, this is ANDRA,” said Arbery, beckoning to the John Storm Memorial Trophy. “What this means to me…it is everything. The John Storm Memorial Trophy is the greatest thing I have ever achieved, simply because of the history behind it. Also recognised at the ANDRA Grand Final presentations was Tasmania Supercharged Outlaws competitor Mike Evans, who was awarded the ‘Longest Distance Travelled’ trophy while Brett Ghedina received the Crow Cams Best Engineered Award. Special mention was also given to the Summer Slam (won by John Zappia), Nitro Bike (A final won by Benny Stevens, B Final by Wayne McGuinness) and Top Alcohol racers who also put on a fantastic show this weekend. Further details from the ANDRA Grand Final weekend including national record updates and quotes from more of the winning racers will be released early this week. ANDRA thanks the Perth Motorplex and all of its volunteers and sponsors for an outstanding race track and a well-run event.